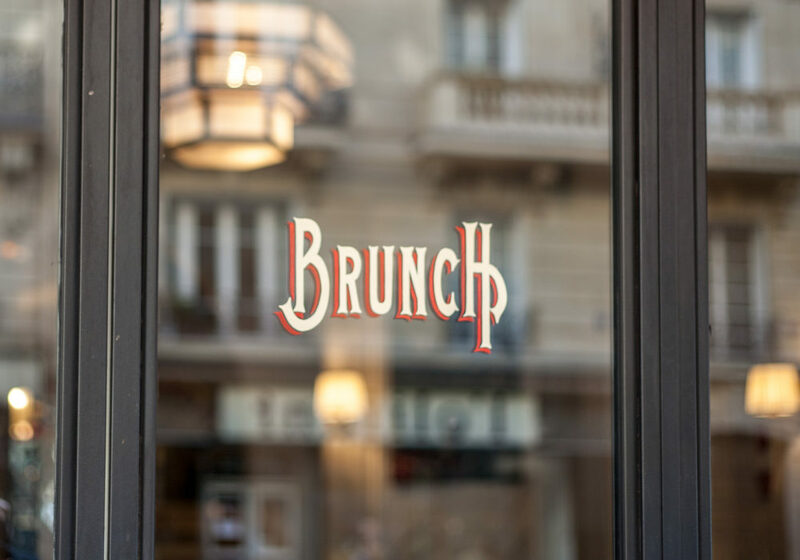 Where to brunch at small prices in Paris? It’s Sunday and you’re a little bit hungry. Why not going to brunch in one of the Parisian restaurants which offers a whole meal at affordable price. Where is it interesting to brunch at small prices in Paris? Where to brunch at small prices in the north of Paris? The Cadran bleu at 2 avenue Jean Jaurès in the 19th neigbourhood suggests a meal wich costs 19,90 euros including apple sauce, white cheese, smoked salmon toppings, vegetable soup, cold cuts and cheeses. At Zaganin, 81, rue Rochechouart in the 9th neigbourhood, the classic brunch costs 18.50 euros and includes sweet potato fries, serrano ham and a vegetable soup. Monsieur Baba is located at 69, rue du Faubourg Saint Denis, in the 10th neighbourhood and is a trendy rock and retro place with masks of cartoon characters or stickers on the walls. The formula is around 19.50 euros with the choice of the classic formula, Chipo (classic + chipolatas), Chopped (classic + steak chopped), Royal (classic + steak chopped + chipolatas) or Salmon. Where to brunch at small prices in the south of Paris? Auvergne in Paris is located at 102, rue Blomet in the 15th neighbourhodd and is known to have been broadcast on a large TV channel. The restaurant offers formulas for 18,50 euros including pancakes and maple syrup, white cheese with red berry coulis or ham and smoked salmon. At the Frog Bercy Village at 25, rue Saint-Emilion in the 12th neigbourhood, there is an Anglo-Saxon atmosphere with English waiters. Different dishes are served such as dishes with bacon, taco, burger for a price around 18 euros. At Charlie Birdy in the 15th neighbourhood at 1 place Etienne Pernet. For 18 euros, you will enjoy tasting eggs benedict, a salad Caesar or a Bagel. Where to brunch at small prices in the east of Paris? Au bon Coin at 19, rue des Gatines in the 20th neighbourhood. Not far from the Père Lachaise cimetery, it proposes formulas from 10,90 euros to 18,90 euros with a choice of cereals, pancakes, bagels, or eggs. Chez Luna at 108, rue Ménilmontant in the 20th neigbourhood, you will taste formulas for 19 euros and 9.50 euros for children. Guests can enjoy an all-inclusive meal with quiches and delicious pies, fresh fruits, pancakes, cheeses and cold cuts. At the Série Limithée at 24, rue Trousseau in the 11th neighbourhood. This tiny place proposes thematic brunches (Valentine’s Day, Easter) and a Russian party once a month to taste the cooking products of the East for 19,50 euros. Where to brunch at small prices in the west of Paris? The Basile at 34 rue Grenelle in the 7th neighbourhood prepares formulas for 16,80 euros (cupcakes, fruit salads, scrambled eggs …) or for 20 euros (baked beans, carrot cake, sauteed apples). In the office at 4 rue de la République at Boulogne Billancourt, you will be sitted in leather club sofas and you will enjoy burgers, bagels or patties of potatoes and potatoes for 19 euros. How to visit Paris differently ?